By Mari McCaig and Edward Kubany. This program of trauma recovery techniques can help take back one’s peace of mind. 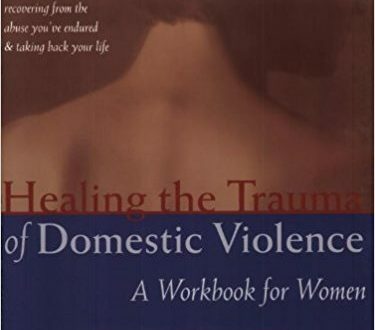 Based on a clinically proven set of techniques called cognitive trauma therapy (CTT), the exercises in this workbook address feelings of guilt, anger, depression, anxiety, and stress. Readers will learn how to break down the negative thoughts that might be cycling in their minds and how to replace them with positive, constructive affirmations. Readers are guided through controlled exposure to abuse reminders, which will enable them to face the fears that they might otherwise have spent a lifetime avoiding. The program begins and ends with techniques for becoming one’s own best advocate—an informed, confident person with the strength needed to create a secure & fulfilling life. Read more.